MANILA, March 22 (PNA) -- The Bureau of Internal Revenue (BIR) on Wednesday filed a complaint before the Department of Justice (DoJ) against cigarette firm Mighty Corporation for its failure to pay an estimated aggregate deficiency excise tax liability in the total amount of PHP9.564 billion. In its complaint affidavit, among those who were charged by the BIR were retired AFP deputy chief of staff Edilberto Adan who is now the company’s president; retired judge Oscar Barrientos, executive vice president; Alexander Wongchuking, vice president for external affairs and assistant corporate secretary and Ernesto Victa, treasurer. The complaints of unlawful possession of articles subject to excise tax without payment of tax and of possessing false, counterfeit, restored or altered stamps in violation of Sections 263 and 265(c) of the National Internal Revenue Code of 1997 were received by Senior Assistant State Prosecutor Susan Dacanay, chairperson of the DOJ's Run After Tax Evaders (RATE) Task Force. The BIR said the corporation was the subject of an on-the-spot surveillance operations of untaxed cigarette products and that when investigating officers from its regional unit in Central Luzon entered four warehouses leased by the corporation and conducted random test of 10 master cases of cigarette stores in the said warehouses, it showed that the stamps used are fake and subsequently confiscated. After this operation, the BIR directed its revenue officers belonging to the Excise Large Taxpayers Service to check the authenticity of the internal revenue stamps on the pack of cigarettes and once again found the stamps to be fake. “The inventory showed that Mighty Corporation stored 66, 281 master cases containing 33,140,500 packs of cigarettes. The investigation further showed that 87.5 percent of the said stamps bore fake revenue internal stamps,” the complaint said. The BIR said such failure to present the official delivery receipts showed that the cigarette packs in the SSIP warehouses did not come from the manufacturing plant in Brgy, Tikay where such stamps should have been affixed. “It should be noted that the warehouses in SSIP are not registered with the BIR as certified by the Excise Large Taxpayers Regulatory Division. Thus, Mighty Corporation cannot legally remove these packs of cigarettes from their only plant in Brgy. Tikay for delivery to the unregistered warehouses,” the complaint added. Dacanay said the complaints will undergo preliminary investigation to determine if there is probable cause to warrant the filing of the charges before the court. For his part, Wongchuking lawyer Atty. Philip Sigfrid Fortun said the company welcomes the BIR complaint that will provide clear the names and will continues to cooperate to the government. ”The company welcomes the filing by the BIR of the complaint as it provides us an opportunity to clear our names and show we violated no tax laws. We will continues to cooperate with government in its continuing effort at tax collection,” Fortun said in statement. Earlier, Justice Secretary Vitaliano Aguirre II said Mighty Corporation gave in to President Rodrigo Duterte's offer to pay PHP3 billion to settle its excise tax liabilities. He noted that Mighty Corporation has accepted the challenge of President Duterte to pay at least PHP3 billion as settlement for its excise tax liabilities. Aguirre said the Office of the President has received Wongchuking's letter signifying his willingness to pay the amount which will be used for the construction of hospitals in Basilan and Jolo, Sulu as well as the improvement of the Mary Johnston Hospital in Manila. Aguirre also ordered the National Bureau of Investigation (NBI) to build up the case against the controversial tobacco firm Mighty Corporation. He said the Department of Justice would also issue lookout bulletin order against other executives of the tobacco firm after earlier issuing a similar order to the controversial tobacco firm's owner Alex Wongchuking. 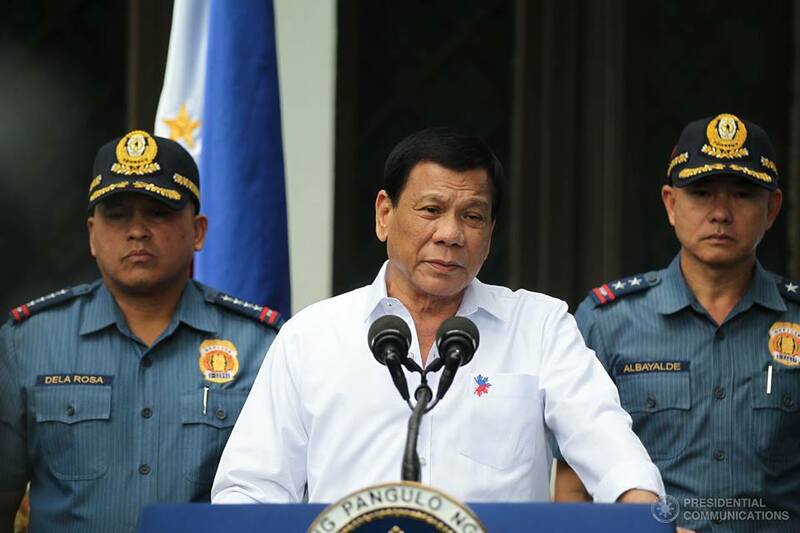 President Rodrigo Duterte earlier ordered the arrest of Wongchuking for economic sabotage over his firm's alleged use of fake cigarette tax stamps. Wongchuking presented himself last March 7 to the NBI but was not arrested. Earlier, the DOJ Secretary assured that the government is determined to collect Mighty Corp.’s tax obligations once it is established. “I believe that the proper thing to do is for the representatives of Mighty Corp., the Department of Finance (DOF), the Bureau of Internal Revenue (BIR), the Bureau of Customs (BOC) and the DoJ to sit down and to fully determine the exact liabilities of Mighty Corp. if any and for the government to collect what is rightfully due to it,” Aguirre noted. “If the DOF or the BIR or the BOC will determine that a criminal case should be filed against Mighty Corp., its officers or against Alex Wong Chu King with us at the DOJ, then we will faithfully discharge our duty and determine if probable cause exists,” he added. Earlier, the BOC said it mulls the filing of a PHP1 billion tax evasion case against Mighty Corporation for alleged failure to pay the amount in excise taxes to the government. The BOC also said it intends to suspect the company’s import accreditation due to findings that it allegedly smuggled cigarettes into the country. Mighty Corporation was able to secure a temporary restraining order from the Manila Regional Trial Court against the raids.